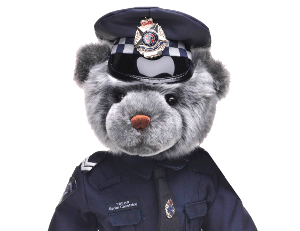 Blue Ribbon Day is 29 September, which coincides with National Police Remembrance Day. Blue Ribbon Day is a chance for the community to say thank you to those who put themselves in harm’s way, and ensure that those who have fallen are not forgotten. We hope that Victorians will take a few moments on 29 September to pause and remember the 164 members of our Police Force have died whilst serving and protecting our community. Apart from pausing to reflect, there are other ways for Victorians to support Blue Ribbon Day. You can attend a memorial service, wear a blue ribbon of remembrance or donate to the Blue Ribbon Day Appeal. Memorial Services will be held in Melbourne and regional locations so we encourage people to attend those.